How to do Method Overloading in WCF? Method or Operation overloading is one of the most important feature of OOPS. In programming languages like C, C++ and C#, this feature is heavily used by developers. While writing Service definition you may come across when you need to overload operations. Let us go ahead and write Service with overloaded function as following. In below ServiceContract I am creating two methods and overloading them with different parameters. So clearly by default WCF does not allow you to overload methods in service. 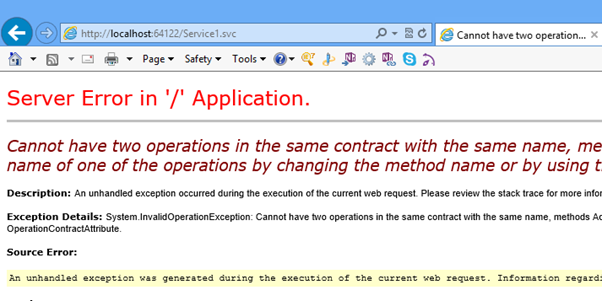 However there is one attribute in OperationContract which can allow you to overload method at service end. 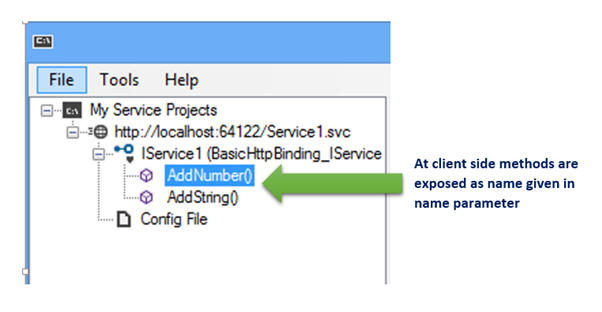 You need to set Name parameter of OperationContract to manually enable overloading at service side. So on asking you can say that by setting Name parameter value of OperationContract we can achieve Operation or Method overloading in WCF. I hope you find this post useful. Thanks for reading.